Aloe vera plants, aloe barbadensis, are perennial plants in the lily family known for their healing and soothing properties. The thick, succulent leaves are pale grayish-green with lighter spots and points along the edges and filled with a viscous gel. Plants are vase-shaped and spread by shallow roots. There are around 450 species of aloes ranging in size from a few inches to a few feet. The plants like a very well-drained potting mix, containing sand, perlite, pumice or sharp grit. Indoors, place your plant in bright light. If you would like to move it outdoors in the summer months, do so gradually, placing it at first in dappled light. Remember that it isn't tolerant to frost or freezes. Help your plant readjust to indoor conditions by bringing it inside before nights get cool in autumn. Outdoors, aloe can grow in full sun to partial shade and in a location with well draining soil. It's considered hardy in zones 9 through 11 and is often grown as a house plant year-round. The cultivation of aloe vera presents a number of specific challenges that growers should understand. These challenges most commonly relate to watering, temperature, and soil. If growing an aloe in a container, make sure it has drain holes in the bottom so the plant doesn't develop root rot from too saturated conditions. Aloe vera is easily propagated by removing the developing pups surrounding the mother plant and planting inside a container. The plant also develops seedheads on spent blooms though it can take two weeks to several months for the seeds to germinate. If planting the seeds, place the seeds on top of the soil and cover with approximately 1/8-inch of soil, as planting too deep can delay or be detrimental to them sprouting. Keep the soil moist and in a sunny location until germination occurs. Aloe vera is classified as a succulent plant. In fact, aloe vera is closely related to aloe ferox and aloe brevifolia, both popular ornamental succulents. This means that the plant has thick, waxy leaves that are designed to retain moisture and sustain the plant during the long dry-spells commonly experienced in its home range. Plants have a high tolerance to drought conditions. Due to this, cultivators should take the following precautions when watering. Allow soil to dry completely before you water again. When you do water, be sure to drench the soil thoroughly so water runs out the bottom. Water less in winter months when plants take up less water than normal. 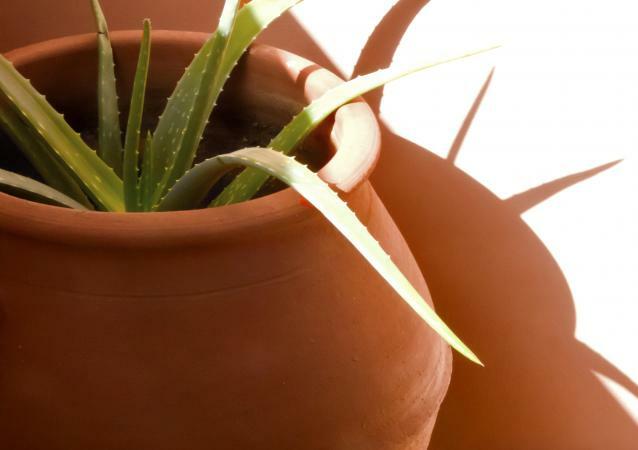 If grown outdoors in the ground, aloe vera only requires water every few weeks. Consistently warm temperatures are best suited for aloe cultivation outdoors; hardiness zones 9 to 11 are best because freezes are not common. This equates to a maximum low temperature of 25 degrees Fahrenheit, which is much higher than the majority of the country experiences in winter. This is why most cultivators decide to grow their plants indoors near windows that allow them access to full sun for at least half of a day. Remember that aloe vera is a plant that developed over generations as a desert succulent and is accustomed to growing on dry, rocky outcroppings. There are some very specific soil requirements that should be recognized by all aloe growers. Soil should be well-drained with a high ratio of sand. If you add sand yourself, search for river sand instead of beach sand, as it more closely mimics the soil of aloe's natural environment and beach sand carries high levels of salt. You can also grow aloes in a cactus mix. In potted aloe vera plants, soil nutrient renewal can be best achieved using worm casings and compost teas applied monthly. Aloe vera has been known for generations to have a number of different uses. Medicinal uses: Aloe vera's use as a medicinal plant can be traced back roughly 6000 years. Throughout the generations, aloe has been most commonly used as a laxative and a topical analgesic. It is currently used in numerous skin care and medicinal skin products. Aloe can be used either in a prepared form from stores or by simply cutting off a leaf from the plant and squeezing the liquid out onto a burn or cut. Place unused portions inside a plastic bag and store inside the refrigerator. Food use: Aloe is sometimes used as a food additive. 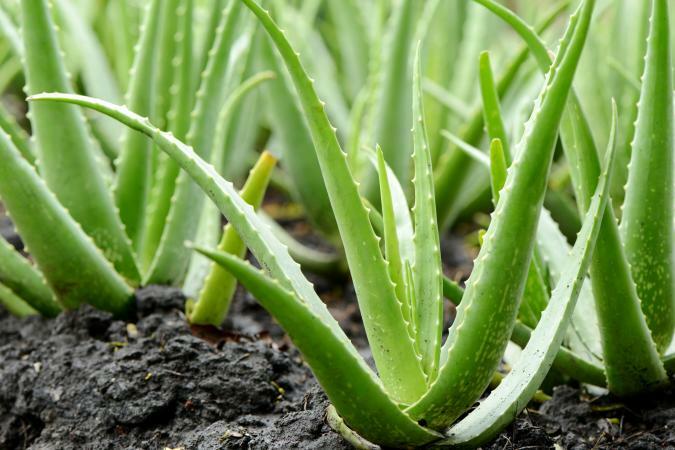 However, the National Institute of Environmental Health Sciences warns that a National Toxicology Program's two-year-long study showed that rats given non-decolorized aloe extract in their drinking water developed intestinal tumors. It's not clear yet how that information translates to humans. Landscaping: Many people use clumps of aloe vera in xeriscaping, native gardens, and as fillers. aloe is a very drought-tolerant plant, which means it can be used to make landscapes attractive without having to use much water. This makes the plant most popular in places like Florida, Utah and Arizona, or other places where water bills are higher due to a lower availability of water. It is a hardy plant that requires very little maintenance to thrive and is a perfect choice for novice gardeners. Aloe is one of the most widely cultivated potted plants in the country renowned for its ability to survive nearly anywhere and for its multiple uses. It works well in wildlife gardens as its long spikes of yellow flowers blooming in summer attract hummingbirds. Whether used in landscaping or for treating skin problems, aloe vera has a great many uses and quite a lot of potential.